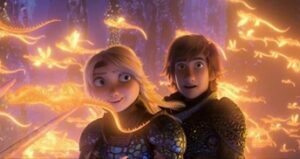 GAIN are proud to announce the screening of How to train your dragon: The hidden world, on Thursday 11th April, at the Stamford Arts Centre, 27 St Mary’s Street, PE9 2DL. Doors open at 1:30pm. The film is from 2pm to about 4pm. All tickets £5. All screenings are autism-friendly. All are welcome. Click icon for more information & to log your interest. To receive emails for GAIN events see Become a member. This entry was posted in All, Events, Stamford on by . GAIN are proud to announce the screening of Mary Poppins Returns, on Thursday 21st February, at the Stamford Arts Centre, 27 St Mary’s Street, PE9 2DL. Doors open at 1:30pm. The film is from 2pm to about 5pm. All tickets £5. All screenings are autism-friendly. All are welcome. Click icon for more information & to log your interest. To receive emails for GAIN events see Become a member. GAIN are proud to announce the screening of Fantastic Beasts 2, on Thursday 27th December, at the Stamford Arts Centre, 27 St Mary’s Street, PE9 2DL. Doors open at 1:30pm. The film is from 2pm to about 5pm. All tickets £5. All screenings are autism-friendly. All are welcome. Click icon for more information & to log your interest. To receive emails for GAIN events see Become a member. GAIN are proud to announce the screening of The House with a Clock in its Walls, on Sunday 28th October, at the Stamford Arts Centre, 27 St Mary’s Street, PE9 2DL. Doors open at 4:30pm. The film is from 5pm to about 7pm. All tickets £5. All screenings are autism-friendly. All are welcome. Click icon for more information & to log your interest. To receive emails for GAIN events see Become a member. GAIN are proud to announce the screening of Incredibles 2, on Sunday 12th August, at the Stamford Arts Centre, 27 St Mary’s Street, PE9 2DL. GAIN are proud to announce the screening of Sherlock Gnomes, on Saturday 16th June, at the Stamford Arts Centre, 27 St Mary’s Street, PE9 2DL. GAIN are proud to announce the screening of Early Man, on Thursday 5th April, at the Stamford Arts Centre, 27 St Mary’s Street, PE9 2DL. Doors open at 10am. The film is from 11am to about 1pm. All tickets £5. All screenings are autism-friendly. All are welcome. Click icon for more information & to log your interest. To receive emails for GAIN events see Become a member. GAIN are proud to announce the screening of Paddington 2, on Sunday, 27th December 2017 at the Stamford Arts Centre, 27 St Mary’s Street, PE9 2DL. Doors open at 10am. The film is from 11am to about 1pm. All tickets £5.00. All screenings are autism-friendly. All are welcome. Click icon for more information & to log your interest. To receive emails for GAIN events see Become a member. GAIN are proud to announce the screening of Nut Job 2, on Sunday, 22nd October 2017 at the Stamford Arts Centre, 27 St Mary’s Street, PE9 2DL. Doors open at 1:30pm. The film is from 2pm to about 4pm. All tickets £5.00. All screenings are autism-friendly. All are welcome.